Combat Ready is the double jacket attack line engineered from the inside out — delivering it all, higher flows, superior heat and abrasion resistance and increased durability. Combat Ready combines ring spun polyester staple fibers over an inner lining consisting of a one-piece extruded through-the-weave nitrile/PVC tube — making the tube, jacket liner and cover one complete assembly. This legendary through-the-weave design reduces friction loss while providing unmatched kink resistance. Designed for low pressure high volume nozzles, Combat Ready offers high flow capabilities to combat the most aggressive attack situations. The outer jacket is available with double dip “Key-Lok” polyurethane based polymer impregnation for enhanced abrasion and moisture resistance. Features a 10-year warranty, which includes a 1-year warranty on wear and tear. *Coefficient of flow of 4.0 is attained when using 2½" coupling. The 1½" coupling option has a 5.25 coefficient of flow. Outer jacket is woven from ring spun staple polyester yarns over an inner liner consisting of a one-piece extruded through-the-weave nitrile/PVC tube. Combat Ready attack hose is treated with a special “Key-Lok” polyurethane based polymer impregnation for enhanced color and added abrasion resistance. 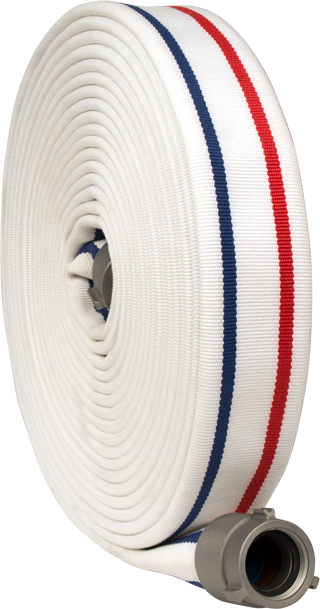 Combat Ready is manufactured in a high-visibility fashion with two red or two blue stripes running the length of the hose for ease of identification. The minimum burst test pressure when tested in accordance to NFPA 1961on all Combat Ready hose shall be 1500 psi / 103 bar. Service test pressures stenciled on the hose shall be in accordance with current minimum requirements of NFPA 1962. 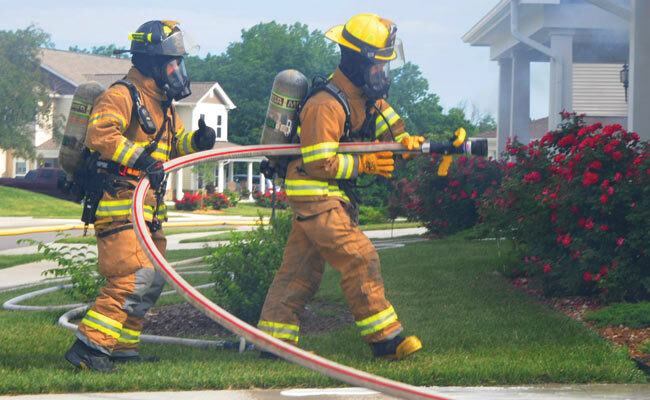 Combat Ready hose meets and exceeds all performance requirements of NFPA 1961 and MIL-H-24606 latest edition standards. Combat Ready hose has a potential service life and warranty of 10 years with a 1-year wear/tear warranty, barring mistreatment that would render it unfit for service. Upon delivery, the hose shall be free from defects in materials and workmanship.